Ladd Hall on North Dakota State’s campus had a hazardous scare Sunday, causing the chemistry building on Albrecht Boulevard to close doors for a few days. A broken steam pipe caused the scare, and 16 firefighters, one truck and one command vehicle responded to the site, according to the Fargo Fire Department news release. 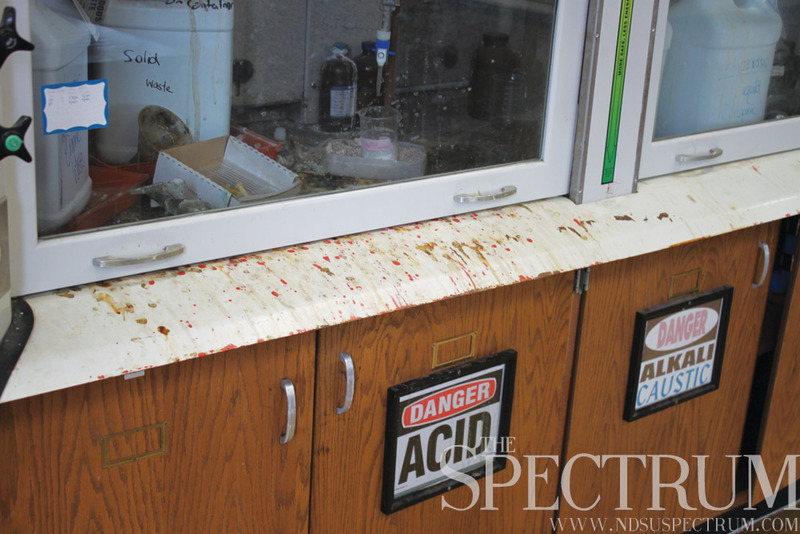 A NDSU graduate student spotted the spill in the chemistry lab. After he saw liquid in front of an acid storage cabinet, he called the fire department. The hazardous materials team set up all their tools on the third floor of the chemistry lab and was unable to detect the source. After the fiasco died down, it was determined the leaking steam line possibly passed through walls behind the acid storage cabinet. The steam lines were shut down, but on Monday Mike Borr, director of NDSU Police and Safety Office, sent emails out on all university employee list about failures inside Dunbar Hall. “Due to mechanical failures possibly caused by a power failure this past weekend, the building ventilation systems in Dunbar Hall are temporarily offline,” the email said. Supposedly parts were ordered for an overnight delivery on Monday, and the email said the two buildings should remain unoccupied until the parts have been replaced. The problem only affected the two chemistry buildings on campus. Both buildings are now open to students, faculty and staff at NDSU. Construction started in the beginning of 1910 on Ladd Hall, and Dunabr Hall’s construction was finished in the summer of 1964.